Gokul Haridas specializes in commercial, construction, banking, employment, insurance and in criminal law. 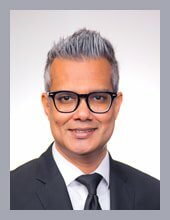 Prior to joining TIC, Gokul was an Assistant Commissioner with the Ministry of Manpower where he presided over disputes under the Work Injury Compensation Act and adjudicated infringements under the Employment of Foreign Manpower Act. He also rendered advice to the Ministry of varies matters, primarily on the Workplace Safety and Health and the Work Injury Compensation legislations. He was part of the legal team in assisting to draft legislations and the international team where he advised the Ministry on international law matters. During his stint with the Ministry, he represented the State in the UN International Labour Organisation (“ILO”) Governing Body meetings in Geneva, participated in discussions and negotiations between approximately 180 States, employers and workers organization. During this period, he attended a G20 meeting on behalf of the State. His career in the civil service also included serving with the Attorney-General’s Chambers and the Ministry of Manpower in prosecuting various criminal offences. In practice, he had represented both individuals and companies in commercial, insurance and construction disputes both in the State and High Court. In addition, he had acted for financial institutions in the course of his work. Early in his career, he was the Director of Community Relations with the Law Society of Singapore where he oversaw the administration of the Criminal Legal Aid Scheme (“CLAS”) and its other pro bono initiatives. Gokul is also the Recruitment Partner. With a responsive team of 30 lawyers, your case is safe in our hands. © 2018 Tito Isaac & Co LLP (UEN: T07LL1728C). All rights reserved.